A mixed population of Māori and Pākehā descent established itself on Stewart Island from the 1830s. 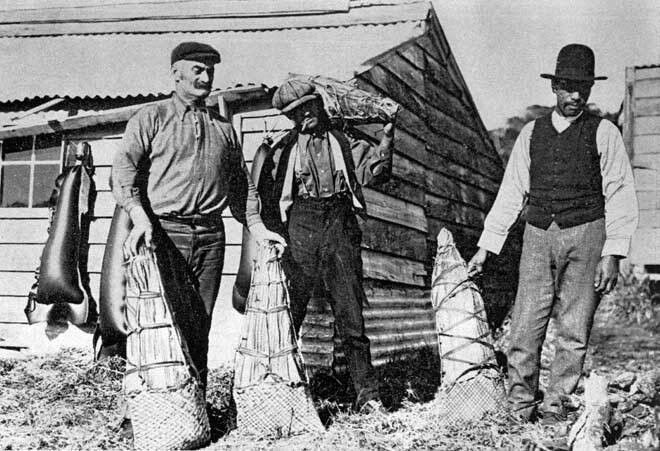 These three men are engaged in a long-established island activity – muttonbirding. The bagged muttonbirds (also known as tītī or sooty shearwaters) are ready for shipment to the mainland.